A slightly different format to our usual Tips on Tuesday slot as today is Safer Internet Day. 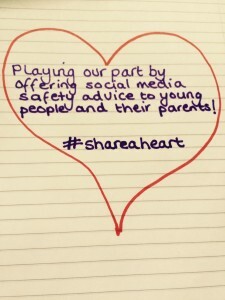 The safety of young people on the internet is one of our passions at Aire Media – in fact, we launched with a post about helping parents make sure their children are using Social media safely – so we thought we would #shareaheart with the wonderful people at the UK Safer Internet Centre and share our top tips for young people to stay safe online. Never reveal your passwords to other people. Choose a password that is really strong by using a mix of letters and numbers. Make sure you change them regularly. Make sure you think before you post. Never post anything you wouldn’t want your parents or teachers to read. As soon as you press send, the information/image is no longer private. Be kind. If you think your post could upset someone, don’t post it. Be really careful about what you share online. Don’t give clues about where you live in either the information or the images you post. Make sure you check your privacy settings regularly. Bear in mind that you might think you’re only sharing something amongst close friends, but that isn’t always the case. Be careful who you talk to online. If someone you don’t know tries to add you as a friend, ignore them and block them. Don’t give people online your address and phone number. 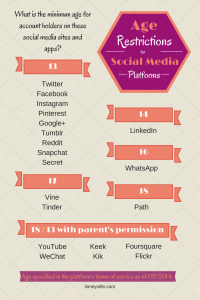 Social media platforms have an age limit for a reason. It is to keep young people safe. 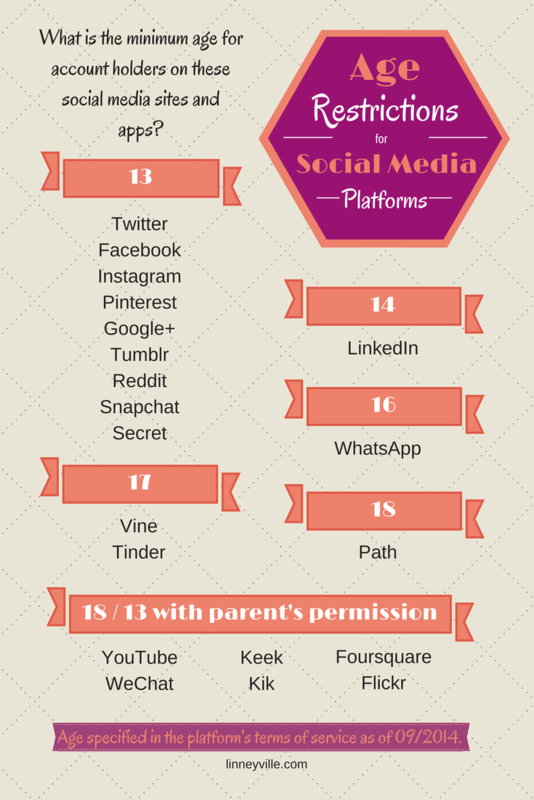 The people at Linneyville made this brilliant infographic giving details of the age limits across all social media channels. We hope you enjoyed today’s slightly different Tips on Tuesday. If you would like to book Rachel to come talk to children or parents about staying safe online, please contact us here! 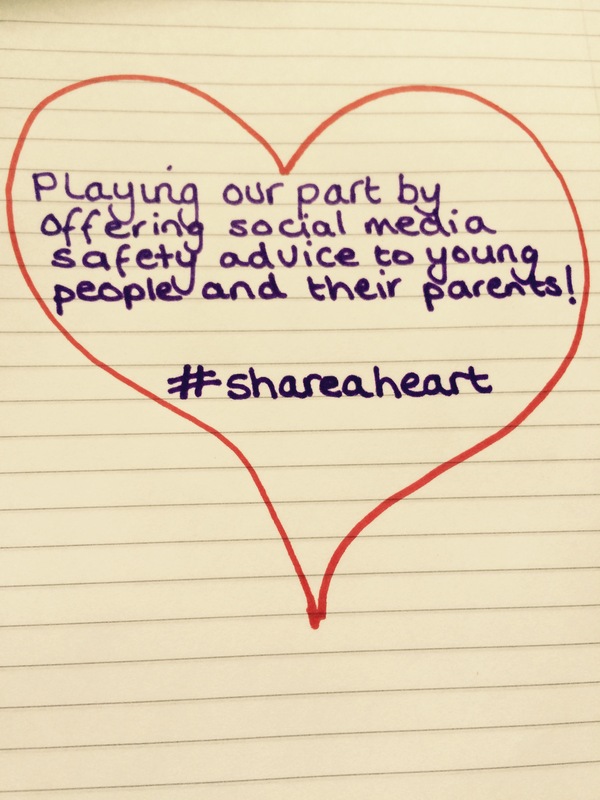 This entry was posted in Safety, Tips on Tuesday and tagged #shareaheart, Facebook, Google+, Instagram, Pinterest, profiles, Safer Internet Day 2016, social media, Tips On Tuesday, Twitter, YouTube on February 9, 2016 by admin.